You may not know it by name, but you’ve seen this building before. You may have driven by its Parsippany location. Or, you may have read about its alleged paranormal history in Weird NJ! 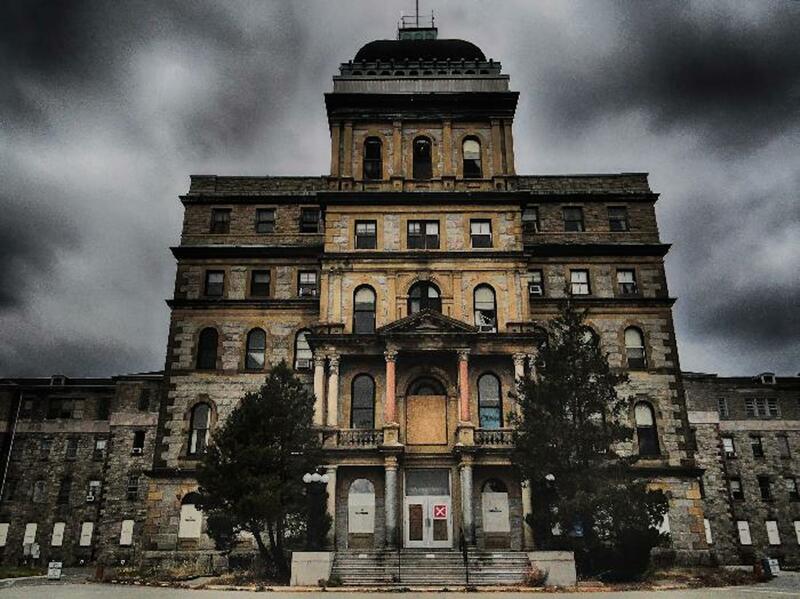 You may even have caught a glimpse of the impressive gothic structure on TV’s House or one of the many ghost story shows that have filmed on the grounds of the now-closed Greystone Park Psychiatric Hospital. Regardless, memories, tales and images will soon be all that remains of the architectural marvel known as the Kirkbride Building, the longstanding centerpiece of the state’s second mental institution. Kirkbride, built in the Second Empire Victorian style, was constructed in 1876 and closed in 2008. The NJ State Department of Treasury announced its plans on March 28 to demolish the massively impressive almost 675,000 sq. foot Kirkbride Building along with 60 other former hospital structures. A $50 million bond will cover the vast majority of the $50.7 million project, which includes site remediation, demolition and restoration. Planners expect the job to be completed sometime in 2016. At that time, the site will be turned over to Morris County, categorized as preserved open space, and used for public recreation activities. In April, the NJ Department of Property Management and Construction (DPMC) solicited construction companies who were interested in getting prequalified as Project Qualified Contractors. Inquiries were only accepted from contractors with substantial experience in the demolition of multi-building sites, including on-site recycling operations, hazardous building materials removal and disposal, environmental clean-up and landfill closure work. Going forward, to be considered a prime contractor on this job, a construction company must be prequalified and classified as a Project Qualified Contractor by the DMPC. However, before the demolition can even begin, the state is calling for a thorough “environmental remediation process.” Asbestos, lead paint and other hazardous materials must be removed from the site. This work is expected to begin this summer. Despite protests from historic preservation groups that pleaded with the state to invest in rehabilitating the property, the state has deemed tearing down the structures will cost far less than the estimated costs of rehab. Approximately $30 million is slated for demolition and restoration, a fraction of the estimated cost of restoring all the buildings to be used as a mental health museum or other historical site. According to a report commissioned by the state at the request of historical preservation groups, adequate property restoration would cost between $110 million and $125 million. NJ officials invited proposals from private organizations willing to fund restoration, but the six inquiries received all required some public financial investment. Government officials have maintained the state’s current financial struggles prohibit investing in restoring Greystone. Instead, the state announced that once the buildings are demolished and the 165-acre site remediated, the property will be converted to public open space managed by Morris County. The property will be in addition to more than 400 acres of Greystone property obtained in 2002 by Morris County for $1. That acreage is currently used by local athletic teams and houses office space for non-profit organizations. Chris Colabella is the president of CIS, Inc., New Jersey’s only local construction project lead service. For more information, visit http://www.cisleads.com or call 800-247-1727 to arrange for a free demo of CIS Leads. This entry was posted in Uncategorized on May 15, 2014 by Chris Colabella.